POLITICAL TIDBITS: Under fire from SC Justice Teresita de Castro, COA Chair Pulido Tan blames her failure to stem PDAF abuses on predecessor. CJ Puno prods Filipino people to resort to “people’s initiative” to scrap pork. Church leaders should join up with mainstream Protestant and evangelical groups for massive rally and to gather initiative signatures. CJ Corona’s lawyers mull nullification of Senate conviction in light of huge bribes, but which venue? Under fire from SC Justice Teresita de Castro, COA Chair Pulido Tan blames her failure to stem PDAF abuses on predecessor. CJ Puno prods Filipino people to resort to “people’s initiative” to scrap pork. Church leaders should join up with mainstream Protestant and evangelical groups for massive rally and to gather initiative signatures. CJ Corona’s lawyers mull nullification of Senate conviction in light of huge bribes, but which venue? Former Senator Ping Lacson recently talked over radio about how his former colleagues collected pork barrel and DAP funds like they were loose change---barya lang. He said senators were collecting additional P300 million, P400 million, P500 million, and in fact, he was aware of a senator in the past administration who collected P1 billion. In the light of all the DBM releases on pork and DAP that have been revealed, Lacson’s disclosure is entirely believable. In fact we can assume that the public doesn’t have the complete picture yet, for as he admitted, the practice of giving extra pork to solons gained currency in the Arroyo administration, but it continued in the Aquino administration and in fact has become worse. The reason for the worsening lies in the admission of COA Chair Grace Pulido Tan, under heavy fire from Supreme Court Justice Teresita de Castro at the recent SC hearing on the constitutionality of the DAP, that she has failed to check the misuse and abuse of the PDAF. In a banner story by the Daily Tribune today, Tan said she assumed the office only in the Aquino administration and blamed her predecessor, Ray Villar, instead for its failings. But Justice de Castro shot back that COA “is not bound by the regulations of the DBM and that COA has a constitutional mandate to police public spending, but has failed it miserably. This is being taken to mean that Tan wouldn’t be giving special attention to investigating the allies of President Aquino, so that from hereon any information on them would be coming out in trickles---discover them if you will. It’s obvious that Tan's following Palace orders to go slow on P-Noy’s allies--- coursed doubtless through her former boss at Finance Department, Secretary Cesar Purisima, to whom she owes her present job. Another thing: now she's talking about demanding that solons who malversed P6 billion in PDAF funds in the Arroyo years and channeled them to fake NGOs to refund the money. But this is like closing the barn door after the horses have fled. The best medicine is still preventive. It looks like there’ll be suppression of more news on PDAF and DAP abuses in this current regime, and even more difficulty getting the Palace and Congress to scrap the hated pork. 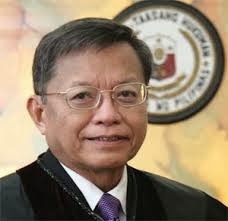 Which leads us right to the suggestion of former Chief Justice Reynato Puno: let the sovereign people directly propose and enact laws, such as abolition of pork of all kinds, through “PEOPLE'S INITIATIVE" as provided in Republic Act 6735. Under the “people’s initiative---a great constitutional innovation never beore tried in our country despite its being enshrined in the 1987 Constitution---what’s needed for the sovereign people to enact a valid law is to secure its endorsement from 10 percent of TOTAL NUMBER of registered voters---provided that at least 3 percent of registered voters is raised per congressional district. In the light of people’s outrage vs. the pork, people’s initiative is absolutely doable, BUT IT NEEDS A LEADER. Former CJ Puno, who chairs the Puno Memorial Methodist Church’s administrative council, may be just the right person to lead the anti-pork movement, BUT HE NEEDS ALLIES. In this regard, the Catholic Church has ordered the ringing of church bells simultaneously across the land this Friday, Oct. 11, at exactly 1 pm. to express solidarity with the people's demand for abolition of the pork and all corruption in the Aquino regime. But I have a better proposal. Why don’t the bishops join hands with former CJ Puno and leaders of the mainstream Protestant sects and various evangelicals---to launch a massive anti-pork march, in unison with various parishes and church organizations, students in various colleges and universities, civil society, office workers, etc.? Let the leaders of various churches and faiths march together with their respective flocks soon and fill the streets of Metro Manila to protest pork venalities. Let our bishops march with us. But in addition, Church leaders have to participate in the people's initiative and help secure all the needed signatures to enact abolition of the pork--and ultimately---very important---to draft a new 'CROWD-SOURCED 'CONSTITUTION for the new Philippines. There’s a report of a big Iglesia ni Cristo rally this Monday in Mendiola against pork, to be announced in its churches the day before. Imagine if all the faiths and churches, led by the Catholic Church and the INC, get together and march on this issue---it would shake the very foundations of the Palace. The protest rally has to be massive in order to make the Palace and Congress, where greedy solons still don’t want to give up the pork, recognize the outrage of the people. The anger is directly specially toward the bribe money to senators disguised as DAP during and after the impeachment trial of former Chief Justice Renato Corona. That Palace multi-million bribery has to be the height of perversion---as what was supposed to be an individual moral judgment on the senators’ part turned out to be pera-pera lang. A few days ago the brilliant lawyers of CJ Corona, led by Justice Serafin Cuevas and former Ateneo Dean Dindo de los Angeles, met for fellowship, and over dinner they assessed the impact of the P1 billion bribery in DAP funds of senators in exchange for their conviction vote. The idea of questioning the bribery before a given court and demanding the nullification of the impeachment proceedings on this issue was tossed around, but it was deemed difficult to find a suitable venue. I would agree that it would be tough to find such a venue, given the hold of the Palace on the judiciary in the matter of the supposedly independent judicial funds. But it doesn’t matter---in the minds of the people there was massive bribery of the thoroughly corruptible senators, judging from records of DBM on PDAF and DAP, and certain senators have admitted to this evil. That P-Noy would assert that the huge sums given to the senators cannot constitute “bribery” as these were dispensed “after the fact” of impeachment, is, of course, a stupid argument---for plainly one does not pay a bribe before a deed is accomplished; it’s down payment first. Those of us who were present daily at the impeachment trial of Corona in the first half of 2012 noted that after the return of the senators from their month-long trial recess in early April, the mood had changed. After that infamous dinner at Loren Legarda's Forbes Park home, the swing votes of seven senators swung to conviction. By all logic, the defense lawyers should have won the case, for no graft was proved in Corona’s case, as the alleged 45 properties and the wild claims of the “little lady” proved to be largely mythical. CJ Corona's foreign currency deposits were protected by the Foreign Currency Deposit Act while the Civil Service Law provides an opportunity to correct inaccuracies in a public official’s SALN within a given period. Certainly all these didn't constitute high crimes such as treason and culpable violation of the Constitution. But the huge fund outlays from the Palace spelled the difference between conviction and innocence of a good and honorable man. Stories abound of high-ranking administration officials inviting senators for a ride in those weeks of the trial---with propositions in the many many millions made aboard changed vehicles. The COA should do a continuos special audit on all PDAF funds lest they be accused of being lackeys of this administration. COA resident auditors were already caught not to have done their jobs, and now we have no less than the COA chairperson stating that no special audit will be done on the spending of PDAF during Aquino's term. This cements the suspicion that Pres. Aquino is after the opposition especially former president Arroyo re: distribution of Hacienda Luisita land to farmers. Pulido-Tan gave credence to all doubts and suspicions that this administration is on a vengeance mode. Many thanks, blog readers Virgilio Pineda, 'dark shadow' and Alex, I can see and feel that your patience has thinned out on the double-speak of the administration and its proclivity to blame everything wrong on the old admin. The people's initiative, which made a giant leap in Cebu today with the push given by over 70 organizations, seems the way to reform by us, the Sovereign People. Let's continue to support this unique feature of our Constitution, and abolish the pork system with it, in the face of the outright refusal of P-Noy and his allies in Congress (both chambers) to strike it out of the GAA. Let's pray too, that the SC would slap the admin by ruling the DAP unconstitutional. To my mind, we have seen the past three years and it has become obvious that P-Noy cannot hack the job. Would appreciate your sharing my blog with your friends and relatives, to give our ideas here collective exposure. Many thanks and kind regards. Yes Ma'am my patience with this administration is wearing thin; and, I feel betrayed. I am one of those who voted this Presidency in power because of their vow/promise to stop or at least minimize corruption during their campaign with their slogan of "daang matuwid"...now I know they can't deliver on their promise; they don't have the political will to do what has to be done...they favor too much their political allies to the detriment of the general public...ok lang sana ito kung may concrete projects sila na nagagawa, kaso wala rin naman sila mapapakita eh; and they're in office for more that 3 years now! What new infrastructure have they done? Daang Hari project? Stalled! Laguindingan Airport in Misamis Oriental? That was a project of the previous administrations but was only opened during PNoy's term; so hindi pa rin talaga sa kanya. I can't think of any other...I registered my car last February, October na wala pa rin sticker na mabigay ang LTO...I bought a new car last year, 10 months bago ko nakuha yung plate number...itataas pa yung contribution ko sa SSS by next year; katakut-takut naman ang bonus na gustong hakutin ng mga presidential appointees ni PNoy duon sa SSS...ahh...it's really frustrating...feeling betrayed po!!! We pay our taxes promptly, but....wow! Story of excising a boil in the body politic.